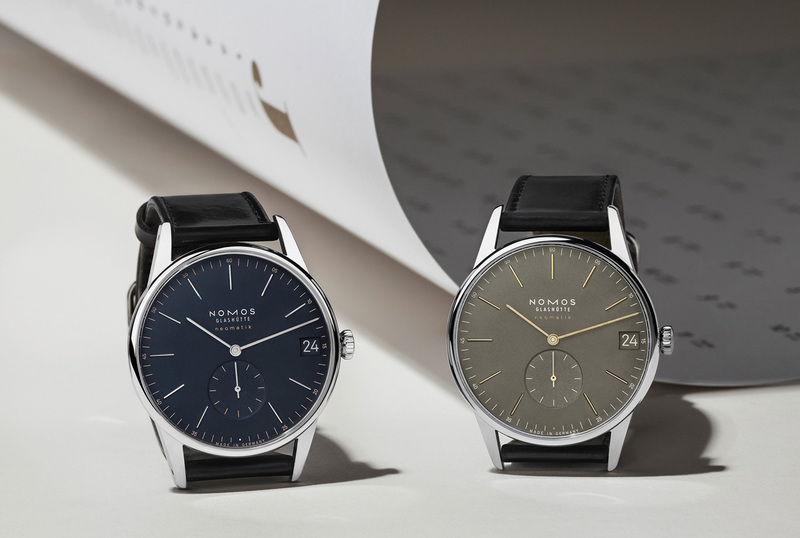 For almost 30 years, Nomos has been teaching a master class on translating functionality into wrist bound art. Captivating design, interesting movements and value-driven pricing has made Nomos a darling of watch enthusiasts the world over but let’s address their one glaring flaw: how do you pick just one? All joking aside, I believe many customers find the task of choosing a specific model, movement and colour extremely challenging simply because there are so many compelling choices. 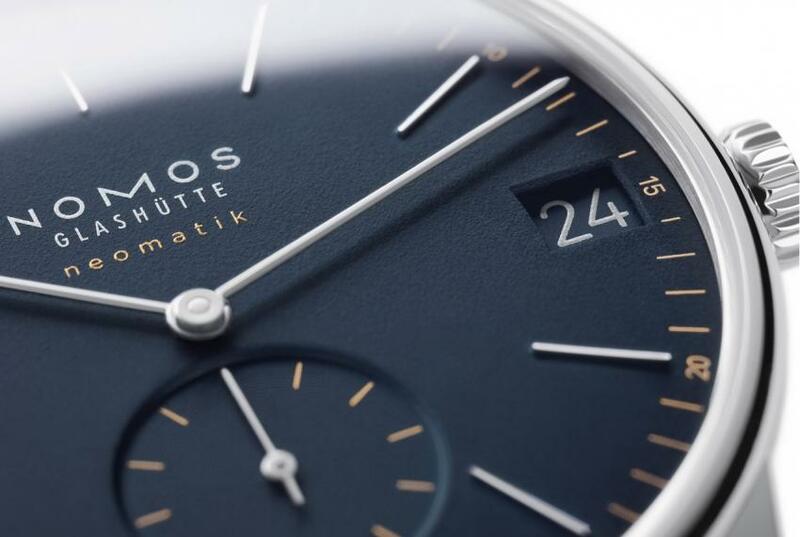 So it’s only natural that Nomos should make our decision even more difficult with the announcement of two new colourways for the Orion 41 neomatik date. More specifically, the new Midnight Blue and Olive Gold are gracing the dials of the Update series Orion — the Update coming in the form of a new automatic calibre with date — that was initially released only in a white dial variation this past Spring. 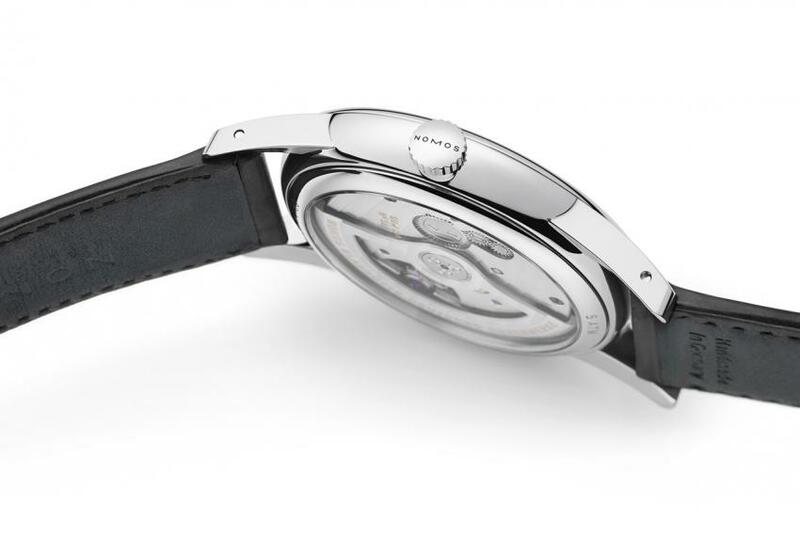 The Orion was first released in 1992 and is one of Nomos’ longest running watch families. Personally, the Orion has always felt like the most classic Nomos expression with its stick shaped indices giving an elegant and uber minimalist style that stands out amongst the many models featuring their signature Arabic numerals. The Orion’s triangular lugs further emphasize its dressy silhouette while contrasting with the more ubiquitous welded style seen on models like the Tangente. Despite the seemingly mythological moniker, Orion owes its name to a spaceship that starred on a German television show and is among the ranks of the many watch cases inspired by disco volante. 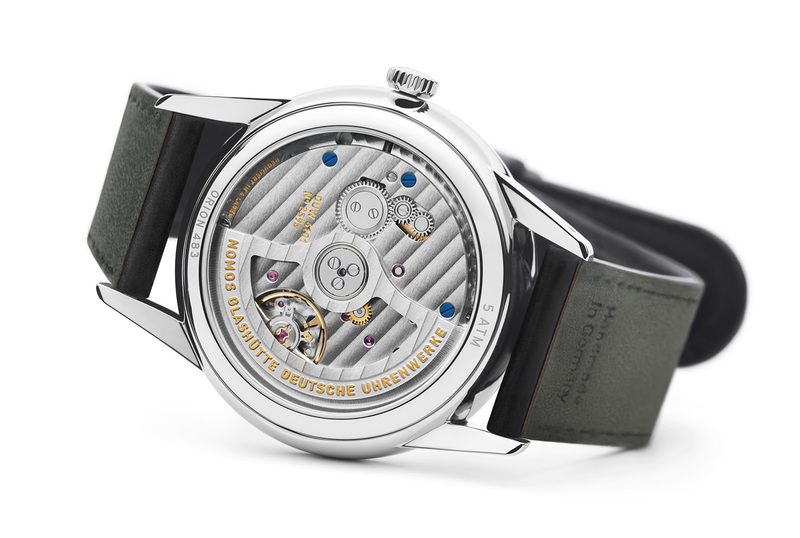 Stainless steel sculpted into smooth disc provides the outer shell for a case that keeps its slim form throughout the Orion family — from the Alpha calibre, hand wound 33 mm to the latest 41 mm housing the automatic DUW 6101. Two new dial colours, in addition to the original a silvery white, have created an excellent trifecta of options for the Orion 41. The wonderfully matte Midnight Blue is complimented by bright silver hands and indexes, and a tan chapter ring and accents. The second new dial is clearly unafraid to challenge convention with Nomos has choosing an earthy olive green to pair with yellow gold coloured hands and markers. Both new colours feature a nailed small seconds sundial and a perfectly colour-matched date wheel driven by the new DUW 6101 automatic movement. In my opinion, the 3 o’clock date window is a bold change from arguably more symmetrical 6 o’clock placement found on 38mm models, and yet the new window does not upset the balance of the minimal design. Instead, the date draws the eye to its presence and fits perfectly with the tiny numerals visible on the chapter ring of all Orion neomatiks. 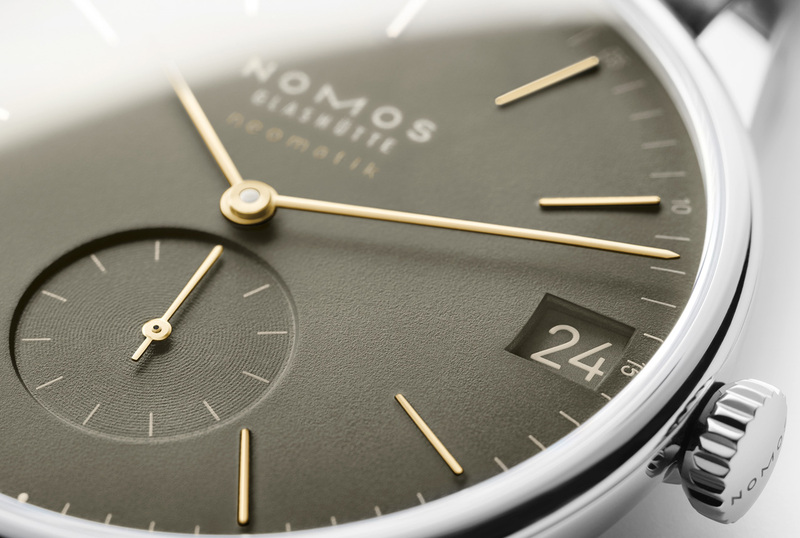 Nomos is proud of its latest in-house calibre offering 42 hours of power reserve at a svelte 3.6 mm thick that will be captivating to gaze upon through the sapphire caseback.